A 57-year-old man has been arrested after police seized drugs from both an industrial unit in Glasgow and a house in Giffnock. British Transport Police seized what are believed to be cannabis plants — with a street value of around £15,000 — from a unit in Cook Street on the southside of the city. 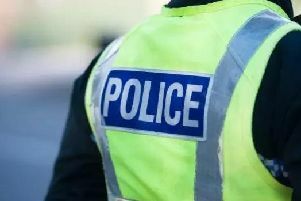 A house in Giffnock was subsequently searched and drugs — also believed to be cannabis, with a street value of around £40,000 — were recovered, as well as “cash and other items”. A BTP spokesman said: “The man is now the subject of a report to the Procurator Fiscal and it is anticipated he will appear at Glasgow Sheriff Court tomorrow (Wednesday). Mansewood mum Kirsty wins a plane for VIP holiday weekend!